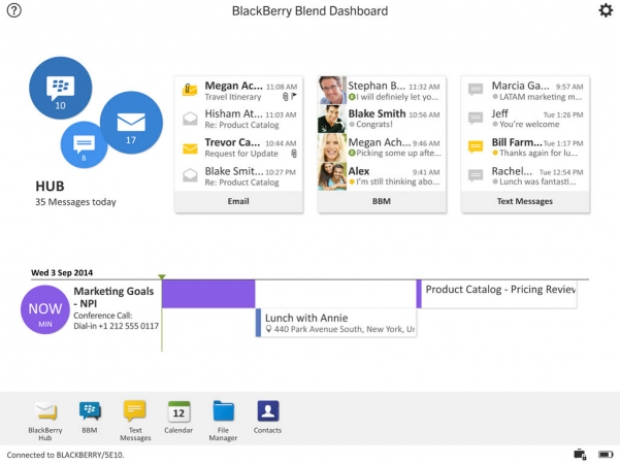 BlackBerry Blend for BB10 updated | BlackBerry Blast! BlackBerry has updated BlackBerry Blend today, bringing new features that make it more effective when using it with other devices. New support for timed messages and Android attachments are now included, as well as security improvements. The new update is available in the App World now. BlackBerry Blend seamlessly blends messaging and content that's on your BlackBerry smartphone with your Windows and MAC desktops and iPad and Android tablets. Get instant notifications, read and respond to your work and personal messages, and access your documents, calendar, contacts and media in real time on whatever device you are on. Hit the source link below for more info.